We have a beautiful banquet room that will hold up to 70 for a seated dinner. Natalie grew up in Richmond, VA and spent many childhood summers in her mother's native Lebanon. Over the years, she developed a deep love for the country, its people and especially her grandmother Martha's cooking! Natalie's long-standing dream was to recreate a small part of Lebanon right here in Richmond, VA. 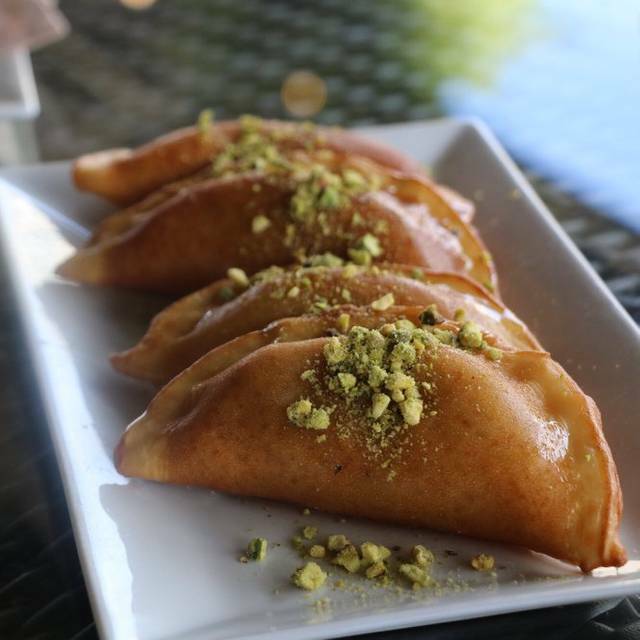 In December 2016, Natalie's Taste of Lebanon was launched with a mission to share Natalie's love of Lebanese food and traditions with the local community. 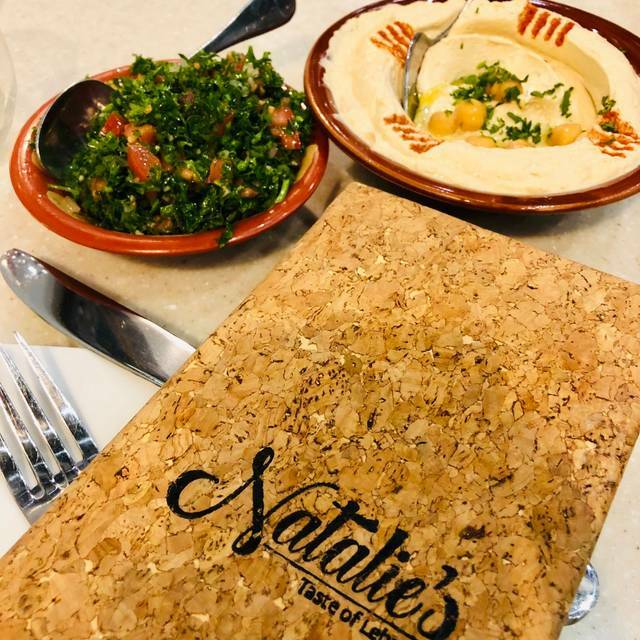 As well as providing an authentic Lebanese dining experience, Natalie's mission is to provide employment for those in our community who live with disabilities. Every day we strive to provide support to the community, give others independence and the ability to lead better lives, and share our love of fantastic food with Richmond, VA. Both of us enjoyed our lunch at Natalie's. I have eaten here a half dozen or more times, and this was the first time for my high school friend. She enjoyed her bowl of chicken served over hummus. I know we will return here! This restaurant is a favorite for our entire family. The food and wine selection are fabulous. The service is very knowledgeable and accommodating. Delicious good. Large portions at very reasonable prices. Our server recommended a very nice wine. Natalie's is a superb restaurant! Truly excellent food, wonderful people, very pleasant ambiance - and did I mention that the prices were reasonable? It's a true gem! I've been numerous times and have never been disappointed. And they've got an outdoor area in good weather. Could not be better. The food was absolutely delicious and I am quite familiar with Lebanese food, so this is indeed a compliment! Lovely restaurant ambiance and nice servers. I was correctly forewarned that the service is slow. I would love to see this improve as it would rate higher if not for this issue. I could see that others were also frustrated by the wait. Always very good.Service is also very good.Enjoy every visit. Absolutely! My family always has a wonderful time at Natalie’s and the food is delicious. Great food and great service. Looking forward to going again. Very nice place with great food and service. They had a huge performance of belly dancers from all around the area and some from out of town. It was so much fun. The food was great and even with all that was going on, our server was awesome n point. This is becoming one of my favorite area restaurants. I was very excited to try this restaurant and then learned that the owner is celiac and there are many gluten-free options. Everything was good, The grape leaves were tasty although small hummus was very nice,not exceptional. I do plan to return to try more items on the menu. 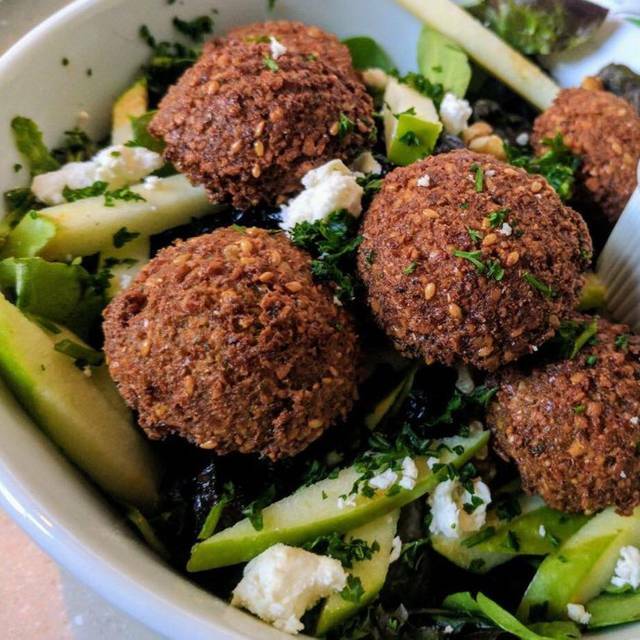 Just one note for people eating gluten-free many of the menu items say they are gluten-free but contain rice mixed with vermicelli which is a pasta and not gluten-free. The substitution is rice with meat which doesn’t work if you’re also not eating meat. In any case it was tasty. Excellent food! Can’t wait to go back! The food was so fresh and amazing. The staff was very nice and welcoming. I definitely felt the culture vibe. I loved it and will definitely be back! Food was OK, didn't hear any complaints. Grape leaves had too much lemon but they were still good. The shrimp kebabs were fantastic - spicy, and I hear the stuffed cabbage was very good as well. Ample portions for sure. Ambiance leaves a lot to be desired! I felt like I was sitting in a warehouse - very wide open, tan/blah coloring, and cold feeling. And the TV running showing cooking over and over, was a PITA. Spot would not make for a romantic dinner that's for sure. Always a favorite, this restaurant keeps getting better and better. Beside the excellent food, service is always prompt, polite and accommodating. Great Lebanese wine selection as well. The food was excellent, but the service and noise were not. My wife and I waited for 20 minutes for someone to take our drink order. We waited 1 hour for our food to be brought out. A couple at the table next to us came in 30 minutes after us and they had finished their dinner before ours came out of the kitchen. The music over the speakers was loud and unappealing. Wonderful food and service. Always a delight. The hummus especially is delicious. The food was delicious. Service was great. Thank you for a great dining experience! Good food. Good service. Find it little pricey for the setup. We were seated promptly upon our arrival. Our server was efficient. The decor is pleasant and beautiful. Love the color palette! The food was tasty. The pita bread and zaa'tar was good, even though the pita was a bit pale. However, the lentil soup was fantastic! Natalie's salad was okay. The chicken kabobs helped make it special; otherwise, the salad was just apple slices, feta cheese, dried blueberries & cranberries. Catching up with a friend over lunch, and this was a perfect place to do so. My friend enjoyed her food and coffee. She was not disappointed and said she had driven by many times and wondered about Natalie's. Now she knows! We shall return. Excellent Lebanese food with great service and atmosphere, would highly recommend and can’t wait to go back! The Lentil soup was too vinegary and the entrees lacked any nuance. But good food and would definitely go back. My wife and I were on a date night and wanted Lebanese food. I wanted Lamb kebobs, which they do not serve, so i ordered chicken kabobs that were excellent-very tender and moist. The Baklava was superb. Another great birthday luncheon for a friend who had never been to Natalie's Taste of Lebanon previously. 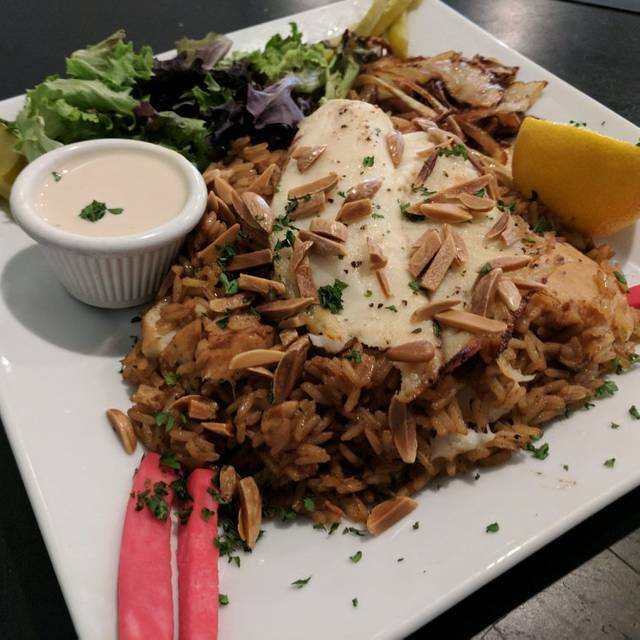 She had the chicken shawarma plate and enjoyed it very much with fresh pita bread. We both enjoyed the dipping sauce with the fresh bread. And, she really enjoyed the wonderful baklava for birthday dessert. Thank you for another wonderful dining experience. We love Natalie’s. Food is always delicious. Last night there was some sort of a mixup in the kitchen. They compensated us for the long wait and even sent us home with some baklava. It’s so nice to see a restaurant do the right thing. We would have gone back for the food anyway but the customer service is definitely worth writing about. Excellent food and service. This restaurant it bright and well designed. Wonderful and romantic dining experience. 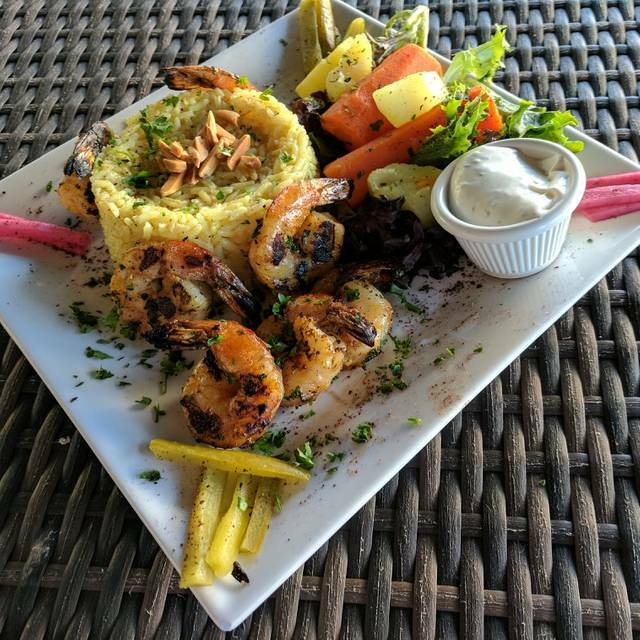 The restaurant is extremely clean, beautifully decorated and the staff was very friendly. Food was fresh and delicious! I really enjoyed Natalie's. Have been there a few times. Sometimes the service is a bit slow, but this time it wasn't at all, in fact it was very quick, perhaps because it wasn't busy. The food is delicious. We always get the chicken faruj mishwi, is great and honestly enough to serve two. The hummus is normally good, but this time was really excellent. Overall a great experience. Food was pretty bland and the restaurant's dining room had zero character (felt like a chain restaurant)--though I should've expected that coming to Short Pump. We have been close to 5 times this year and always enjoy our meal ...however, the service is inconsistent. That is, one time the waiter disappeared for a very long time and when he returned he didn’t have our drinks or the pita. He would come and go but didn’t always have the complete order or accompaniments to what he brought. eg bread but no oil, one drink not everyone’s at the table, etc. This past weekend we were a table of 4 and there were 3 other small parties in the restaurant...and it took so long to get drinks and the entrees we were disappointed. In summary the food is delicious...just wish service was equally as good. Food was excellent. Wonderful experience. True Lebanese food some of best we have ever had. Restaurant is nice, quite, well appointed. Good variety menu. Food was very good, and my guest enjoyed her birthday dinner. After we ate, we were so full we could not order dessert. Due to a large party that arrived, we had to wait quite a while for our check. The wait for the check was the only downside to our evening. Really nice place for dinner. Fresh food and good service. Love the garlic sauce condiment! We both agree we will return soon and maybe try something different. Would like to try their coffee and baklava sometime, as well. The restaurant is bright and clean, too.